We are excited to introduce our new Technical Sales Account Manager – Justin Fair. Justin has been with Advanced Wireless for 3 1/2 years as our Service Manager. 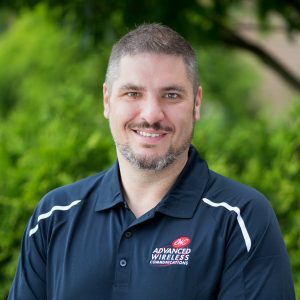 Justin is a Veteran of the United States Navy and has over 10 years of experience in servicing various communications systems, from next gen EHF sitcom equipment to in building DAS systems and two-way radio Wide Area Networks. In his new role, Justin will develop business outside of our current verticals of Healthcare and Retail within Minnesota. You can reach Justin, by phone, at (952) 469-5400.